One’s relationship with haunted houses usually starts with a traumatic experience after being coaxed into one of those absolutely terrifying seasonal pop-ups where strangers in masks touch and scream at you. This Belgian dark ale, on the other hand, is way more uplifting. 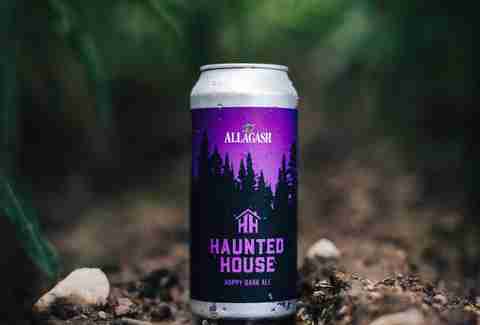 It may pour as dark as the inside of spooooOOOOOoooky house, but it has a subtly complex profile featuring Saaz, Chinook, and Tettnang hops and “a ghost of coffee-flavored bitterness and hauntingly complex malty palate.” All of the fun of the season without the anxiety and PTSD! Fall is arguably the most complex and introspective of the seasons. As such, it’s fitting that a beer as interesting and nuanced as Calabaza Boreal should make its way into your autumnal rotation. Brewed as part of a two-part collaboration, this beer serves as an homage to Calabaza de Oro... by including a dose of it in the finished product. You could think of it as the buddy comedies of beer. For anyone looking to expand their horizons (or deepen their love) with truly well made American wild ales, this is a great chance to do just that. Also, in case you didn't know, please don’t let the brewery’s name fool you: There is absolutely NO pumpkin used in this beer! 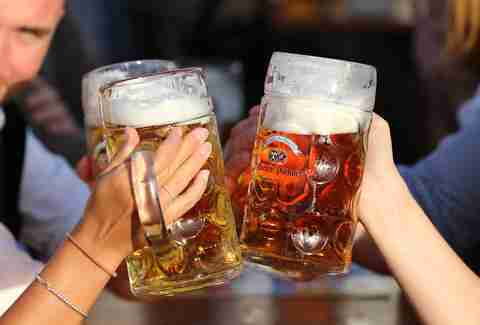 Collaborations have become a hallmark of American craft beer, and while pretty much any reason will suffice to foster teamwork, Oktoberfest is very rarely one of them. That’s not the case with Culture Keepers, which is the result of two of the South’s best breweries coming together to concoct a memorable märzen for the masses. Biscuity, bready aromas and flavors work alongside grassy hops that whistle through a dry, oh-so-barely bitter finish that is as refreshing as it is clean. Among the greatest misconceptions that pervade American culture, very few are as widely held as the idea that all dark beers are heavy. For proof, you need look no further than schwarzbier, a dark lager style with German origins that seems to be having a bit of a moment on the American craft beer scene. For whatever stupid reason our brains have us believe it, fall seems to awaken the part of our sub consciousness that is more open to darker beers, making it the perfect time to indulge and explore offerings like Blackwing. This beer is jet black but oh so smooth, with toasted maltiness and a refreshingly light body helping it feel at home no matter what the weather is in your part of the country. For some people, fall means the beginning of decorative gourd season (OK fine, maybe for most people). 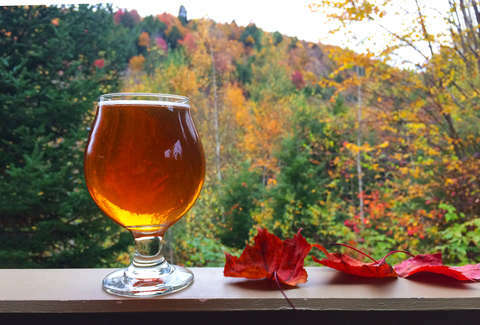 But for the rest of us, autumn signifies a special time of year where the elusive well-made American brown ale makes a triumphant return into many breweries’ rotations. 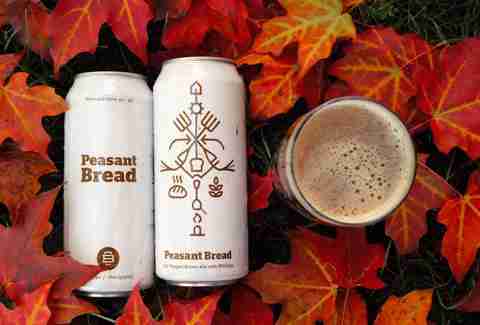 Peasant Bread’s remarkable drinkability help it stand out as such a winner in this crowd. Sure, it’s a brown ale, but it’s made with wild rice, giving it a uniquely smooth body with. Just the right amount of accompanying roasty malt flavors and subtle East Kent Goldings hops to help it finish as balanced and crisp as that first breeze that makes you think, “whoa, it is *autumn* out here!” Pairs perfectly with burgers scary movies from the '80s. 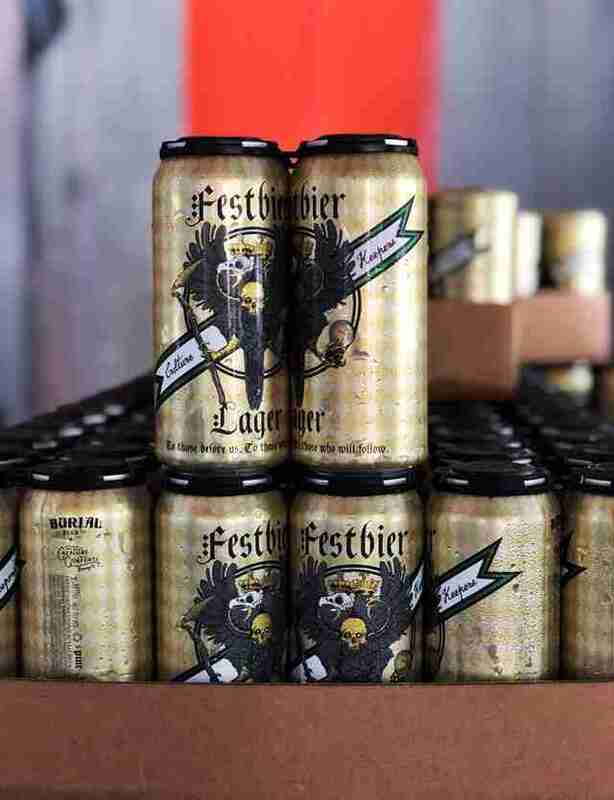 Maybe you have a friend who is super into the idea of celebrating Oktoberfest in a traditional way, but is also averse to any beer that isn’t pale gold. Maybe that friend is you. In any case, this is one of those instances in which you can appease their (or your) picky tendences! Klosterbrauerei Andechs, a classic Bavarian brewery of note, is renowned for their Festbier Helles. It’s much lighter in color than its amber-hued marzen counterparts, with a smooth, malt-driven body, slightly more floral German hop flavors, and a pleasingly dry finish. For most of us, a trip to Munich would involve jet lag, costly airfare, and yet another failed attempt to pick up last minute foreign language skills on Duolingo. Luckily, that doesn’t mean you still can’t drink like a proper festival goer. Hacker-Pschorr’s is a legally proper Oktoberfest Märzen, made within the Munich city limits and served at tents at the Wiesn to throngs of revelers. Of course, it’s got those flavors toasty bread crust and rich malts, but like all great Oktoberfest beers, it stops short of sweetness, making it easy to sip on for hours. Easier than returning through customs after a rowdy Oktoberfest, at the very least. There comes a point every fall where all questions of which direction the temperature is heading is answered decisively. Days like those usually call for a day in the kitchen cooking chili with Great British Baking Show playing in the background. And if you were also so inclined to feel that extra level of comfort, this relatively rare release by one of San Diego’s most beloved breweries would surely help get you there. Like every great dessert pastry you’ve ever had, this beer is tongue-coatingly full bodied and bursting with oaky vanilla and coconut, with flavors of Nilla Wafers, coffee cake, and throat-warming bourbon on the finish. It packs a punch at 13%, so it’s best shared, preferably in lieu of (or, what the hell, alongside) cookies or cake. Like the folkloric creature whose name and silhouette appears on the bottle, Great Divide's Yeti imperial stout takes many forms, emerging every couple months in a new form -- chocolate oak in the spring, vanilla oak aged for summer. But this fall's variant is perhaps the most complex, utilizing a base of chai to instill vanilla, cardamom, pepper, and nutmeg notes into an already complex beer. 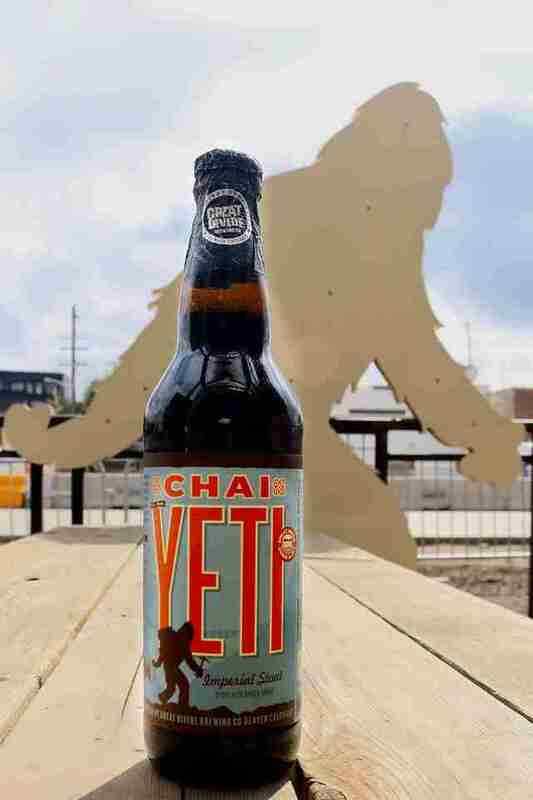 Get it before it becomes elusive, as yeti are wont to do. Cycle Brewing has contributed significantly to the yeoman’s work of making imperial stouts and porters a nationally noted *thing* in Florida, and Cream & Sugar, Please is simply the best gateway to appreciating everything this brewery has to offer. This beer has flavors just like that nitro cold brew tap in your office, only this has a fuller body and is not non-alcoholic: Close your eyes and you’d swear you’re drinking fresh iced coffee with a tiny shot of simple syrup and a dash of cream. In an industry that is already racked with puns, it’s hard to come across one who outdoes Against the Grain in naming and label artwork… Which is why, at first sight, this can might make you want to pass. But man oh man, is this a solid brown ale: It’s got a thicker mouthfeel thanks to oats in the malt bill, biscuity and roasted flavors, and subtle earthy British hops (as well as some American “Cascade [hops] late in the boil just to show those snooty Brits that we don’t approve of that Constitutional Monarchy crap,” according to the brewer’s notes). But seriously, if you’re squeamish, don’t look at the can art. What, did you think fall would come and we would write up and entire list without including a single IPA on it? 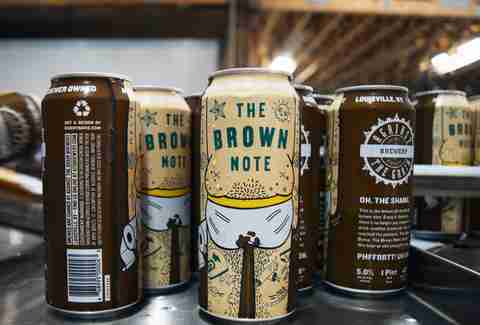 The perennially popular style is also perennially impossible to stay on top of, even as a professional observer, but MORE Brewing’s Mozie has brought Chicagoland beer into the spotlight once again. Hazebros will rejoice at the cloudy appearance and juicy flavor profiles, but everything here is in balance, including the tropical fruit flavors and dankness you’ve come to expect from the style. 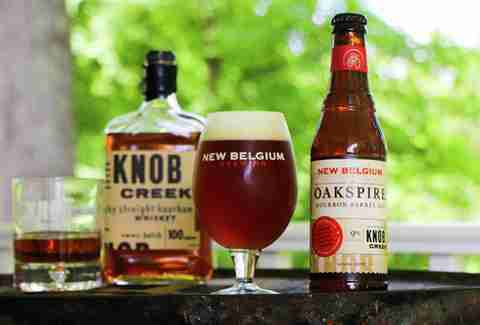 As Voltron taught us, it’s often remarkable when two beasts team up, so it should surprise nobody that when craft pioneers New Belgium teamed up with Knob Creek, something great would happen. For this strong ale, you get all the hallmarks of a good barrel aged beer, from the oak and vanilla note to the kiss of toffee on the finish. But what really sets this one apart is extra char, which is imparted from a bath in the kind of barrels generally reserved for stouts and other big boys. For a bourbon barrel-aged beer, this one’s deceptively easy to drink. Eugene Porter, in addition to being the name of that dude with the mullet on The Walking Dead, is one of Revolution’s best offerings, a deep-brown, ultra-smooth American porter with hints of roasty malt, chocolate, and vanilla. Throw in some coffee though, and Eugene gets an extra flavor blast, meeting at the confluence of a deliciously dark beer and a nice cup of cold brew whose complex profile makes it very easy to forget that you’re drinking a beer that’s pushing 7%. Unlike the show whose character shares its name, it just keeps getting better the longer you sit with it. One of Oregon's best brewers basically does a remix of the Oktoberfest style, mating it with IPA in one of the best mash-ups of German and American ingenuity this side of the Iowa pork tenderloin sandwich. You get that malty/toasty flavor you've come to expect from schnitzel's favorite beer, but with a healthy, citrusy boost of hops that define the American IPA. That, friends, is how you do beer diplomacy. 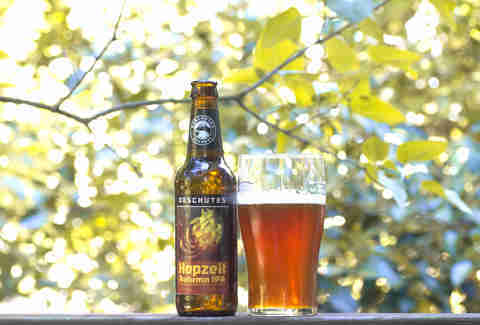 And also how you create a fall IPA, which isn't exactly the most common variation of American craft's go-to beer. A low-impact standout from Utah's notoriously high-ABV purveyors of big heavy beers, the Fest Helles is a nice alternative to the Oktoberfest go-tos, with grassy notes balancing the lower hops profile. This is a clean, down-to-earth beer that basically defines easy-drinking, best enjoyed on those late-summer days when the sun tries to trick you into thinking it's not quite autumn. Which is to say, this is a great sunshine-and-sweaters beer. 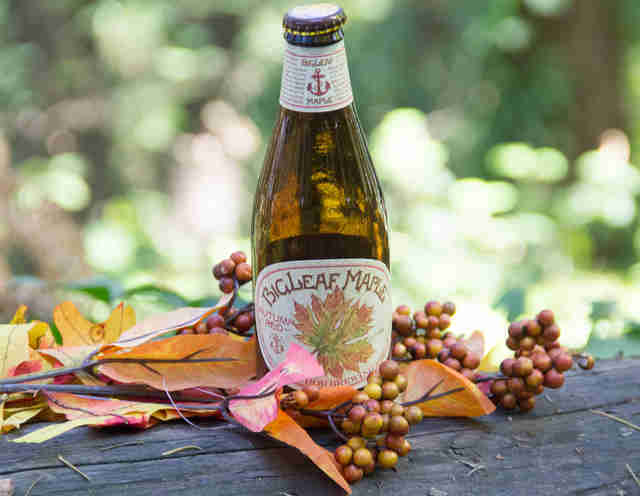 Putting maple syrup in beer seems like it could misfire into a jaw-achingly sweet concoction, but Anchor’s BigLeaf strikes the perfect balance. Sure, the sweetness is there in the seasonal red, but it’s more a finishing note than anything, with the malt taking center stage. This is not by any means a beer you’d be better off pouring on top of your pancakes. Though we’re sure that’d be pretty delicious too.